Chicago police say a group of men attacked a doorman, waiter and detective at a popular Wicker Park pizza restaurant on Monday night. 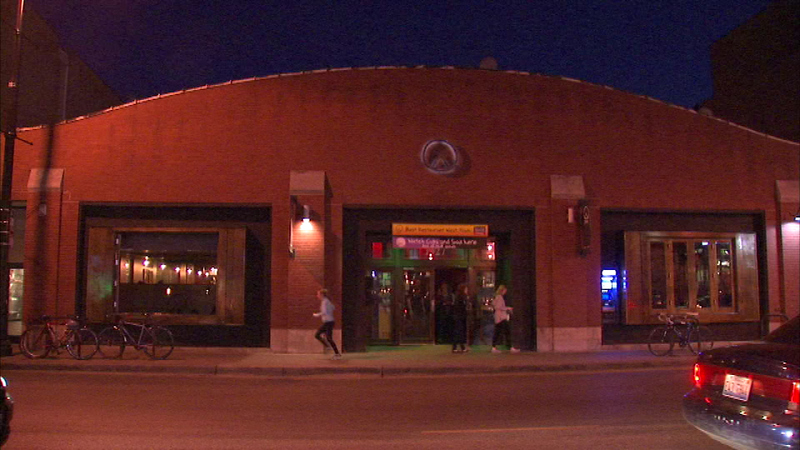 CHICAGO (WLS) -- Chicago police say a group of men attacked a doorman, waiter and detective at a popular Wicker Park pizza restaurant on Monday night. Police are looking at surveillance video taken inside Piece on North Avenue to identify the suspects. The manager says the men punched the doorman and waiter, and then an off-duty detective who tried to break the fight up.